Taking care of and having a connection with our own soul is something that many barely recognize as a necessity, until perhaps we begin to experience a dark night of the soul or some other form of crisis, such as diseases and addictions. This part of our being requires a great deal of tending and attention, much more than we normally give. But many are at a loss because they are so out of touch, and have layers of personality and character traits that are not truly serving the soul. Learning how to communicate with and express our soul is not only important to our individual overall health and well-being, it is critical to our survival and evolution as a whole. When we come into conscious contact with our soul, our psyche we begin to develop the true personality and it becomes possible to mold our character with the wisdom and insight of the spirit within. When we get fully in touch with this place within ourselves where the body and the spirit meet the heart and soul, we start to get more centered in being human. As we do this we strengthen the container of the body/mind and can open ourselves to new levels of creativity and expression. Often we hear the phrase, "We are spiritual beings having a human experience." The reality, however, is that we barely know what it is to be human and many, many people are having difficulty with becoming more fully human. We often encounter people who are having as much difficulty integrating into the body as they do remembering their spirit. The body is the result of all that we have been, believed and intended. We are evolving and growing on the outer plains, just as surely as on the inner. By re-establishing communication with our own soul, we become more fully conscious of the Self. For many this is an all-consuming home coming that raises the bar on our human potential. 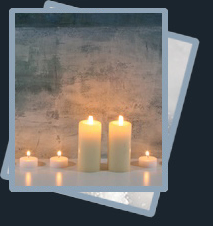 Some of the most powerful ways to bring the conscious mind into contact with the spiritual aspects of our selves is through contemplation, reflection, creativity, ceremony and ritual. We have lost much of the sacredness of life because we underestimate the necessity and power that even the most subtle rituals can bring into our lives. 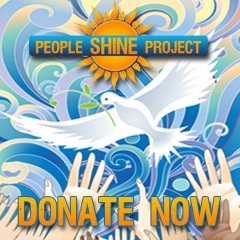 The People Shine Project provides the means for people to explore the whole self and to reconnect body, mind and spirit at the deepest levels in a safe and sacred environment. Although some of the classes we offer through the People Shine Project are geared toward certain aspects of the Self, everything we do speaks to and reconnects us to lost or neglected parts of our selves in one way or another. There are many doorways into the soul, such as meditation, journaling, yoga and bodywork, energy healing, creativity classes, medicine wheel journey's, awareness and consciousness raising workshops, intuitive development and much more. We encourage each individual to enter the doorway that they are most comfortable with. Delving into the hidden parts of the self can be a delightful and magical process. We often find that what we have been avoiding is not nearly as bad as we thought, AND is part of what makes us special and unique, leading us to our destiny and soul's purpose. So it's important to go there and to be supported in that journey. The power of community is what truly helps us get to know ourselves at much deeper levels than we can even imagine. To know the Self is the key to freedom. We must surround ourselves with much support as we open and lean into our interiors. Surrounding ourselves with others who are opening to empowerment, as well as healing, is also key. When we focus only on our wounds we create a kind of woundology and it can be very easy to remain stuck in that space if that is all we are focusing on. The People Shine Project is about working within a community to reveal not only the shadow, but the light within each individual. This gives us the ability to find our place in the world, our inner and outer purpose and to integrate and express all that we are.